The project is a series of mixed media work on paper, inspired by the unique geometric forms of the polder landscape. 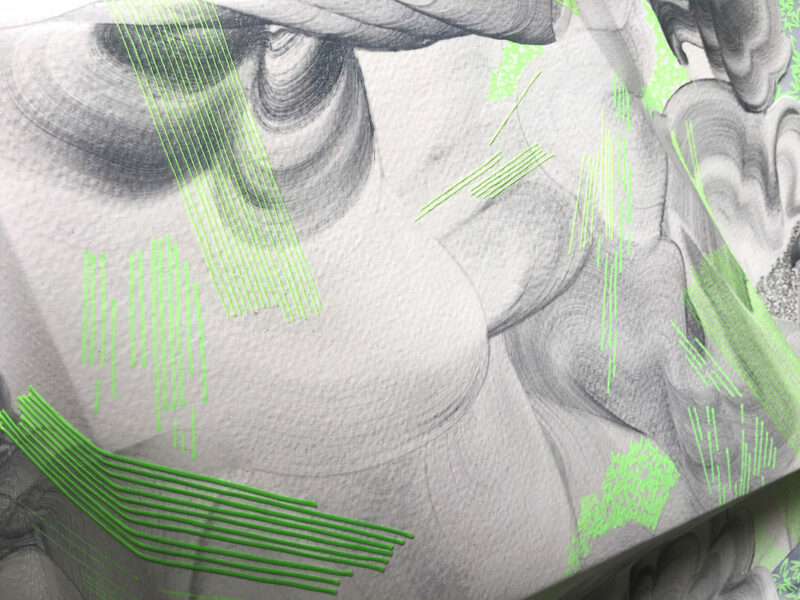 Drawings, paintings and thread make for a three-dimensional play between abstract and figurative forms. 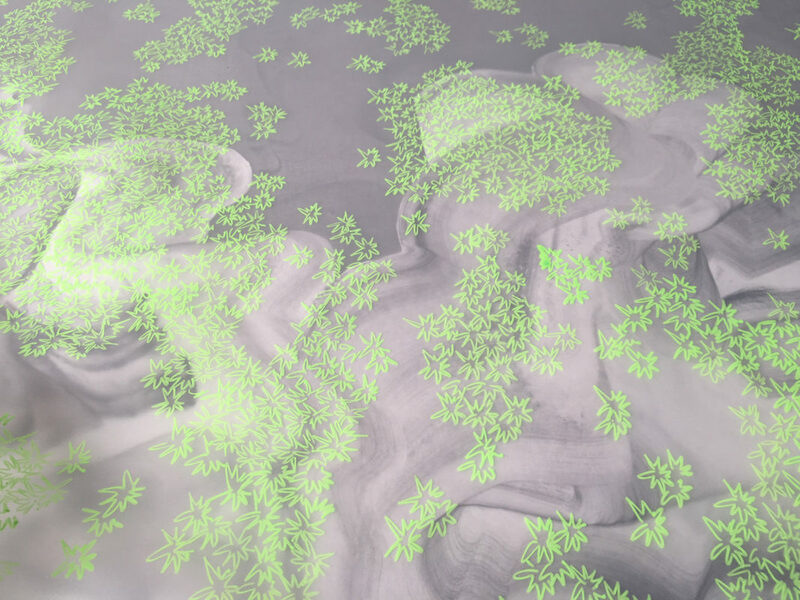 The whole portrays a re-imagined ecosystem that makes a connection with imaginary flora based on the nature found in the Netherlands region. Vero Glezqui (1984) is a multidisciplinary visual artist from Mexico; her work is driven by science, pseudoscience and philosophy. 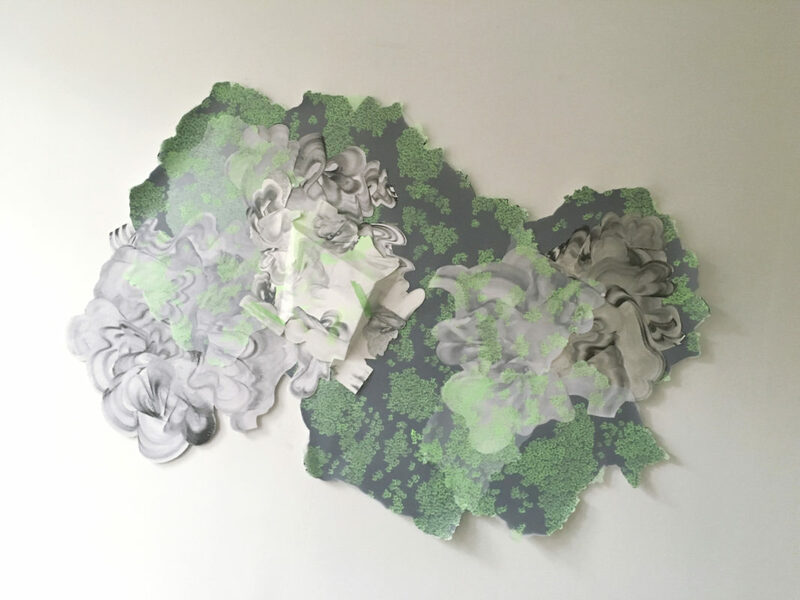 She creates correlations between diverse disciplines by appropriating found imagery and playing with scientific theory and data in order to explore topics that are related to our origins, identity and complexity. Her mixed media work creates correlations that link the visible to the invisible, the micro with the macro.